As you’ve all pretty much figured out by now, servers are down. Hang in there. It’s 5am in TinyCo land. Hopefully it’ll be back soon. p.s. it’s not just this app down, it’s multiple. And other things too all over the net. So hang in there. This will take a bit. Want more info on outage? 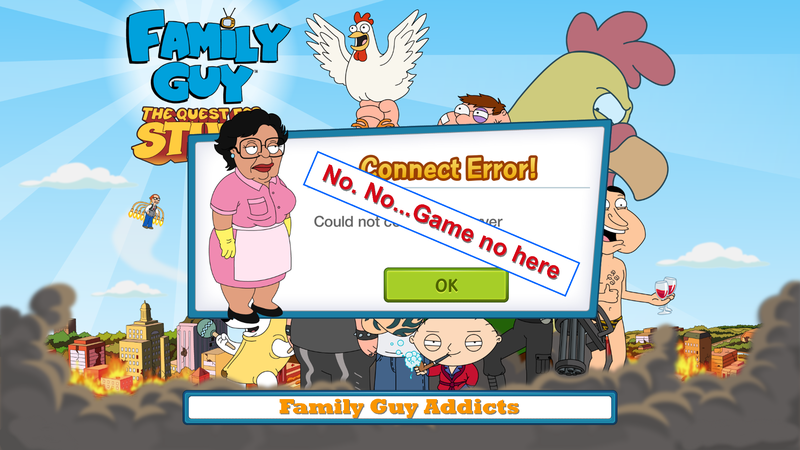 This entry was posted in Game Play, Glitch and tagged Can't Connect to Server in Family Guy, Can't get into game, Consuela Error, Family Guy Septemberfest 2015, Family Guy The Quest For Stuff, Family Guy Tips and Tricks, Server Issues. Bookmark the permalink. Is anyone else having lots of trouble getting the blue earrings for Loretta? I’ve been trying and and trying and no luck. hope Tiny Co will take into account I/we have missed prettty much a whole day from this event and adjust things accordingly……. The servers at my company went down last night too! Nooooooo..I am realy hoping the servers are stil down. The game is begining from 0% now. Everyting is gone. Have to start over… please tell me its an error and my game is stil saved somewhere. cause I am not connected with facebook? Greetings from holland. You don’t have an account at all? No saved info anywhere? Mine is back up but now I have zombies walking around. I have finished the graveyard district…so is this a glitch? Thanks! Wakey wakey. Servers back up. The problem is Amazon Web Services is down, so that is causing problems all over the net. I’m guessing TinyCo is using AWS for hosting the application. Was desperately hoping to unlock angela/opie today before travelling for a while… wish the problems were not today! Oh well, its only a game! Yep. I couldnt reach some things on IMDB as well. I think wookie took out the servers on both sites becouse he doesn’t get enough attention. 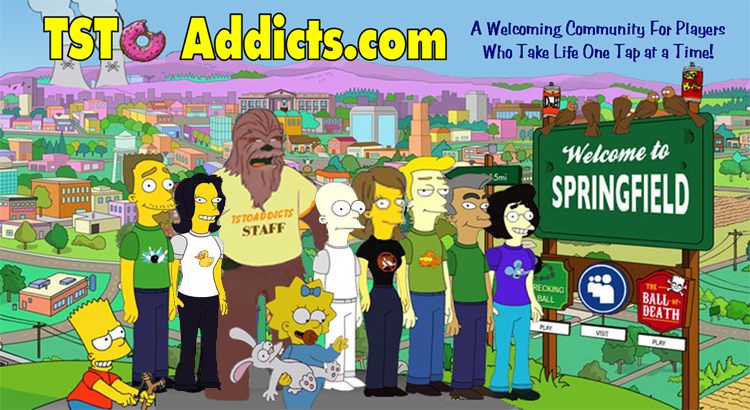 I never realized i was this much of an addict, as my friend says, are you fiending out on video games again LoL. If i don’t find out how my towns are doing I’m going to go mental. P.s. 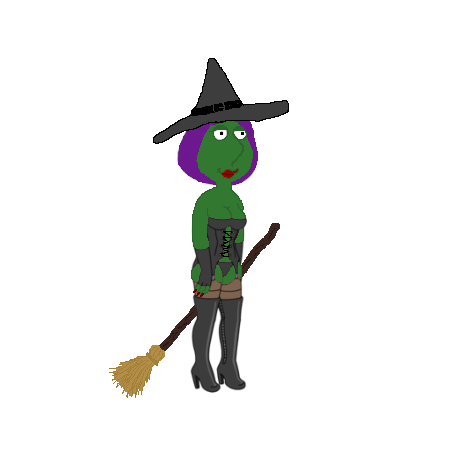 bunny i e-mailed you a screenshot. I hope i did it right. Thank you. Come on, i need one chicken to get a angela, ONE CHICKEN ! Lol. Did you finally get the last Chicken? Tsto is also down, I dont think thats a coincidence. Hopefully they would be done in about 3 hours tops. Thats when most of my tasks that affect the new event are done. Seems to be down in TSTO too.